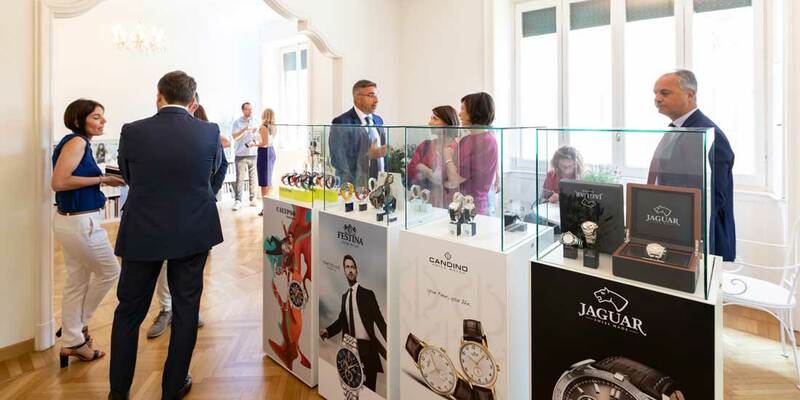 On Wednesday 20 June the Press Day event of the Italian headquarter of the Festina Group took place in Milan. It was a day full of contents and the protagonists were the new collections of the Group’s brands: Festina, Lotus -Watches, Style and Silver-, Calypso, Candino and Jaguar. Flowers, plants, natural and fragrant colors such as lavender, basil, rosemary, mauve have been the common thread of the decor of the location that have helped to recreate the setting of a provence-style outdoor area. The visibility of new products for brand has undoubtedly created a good interest as well as the presence of the well-established testimonials Gerard Butler for Festina and Megan Fox for Lotus Watches. Thanks to everyone for taking part to our event!